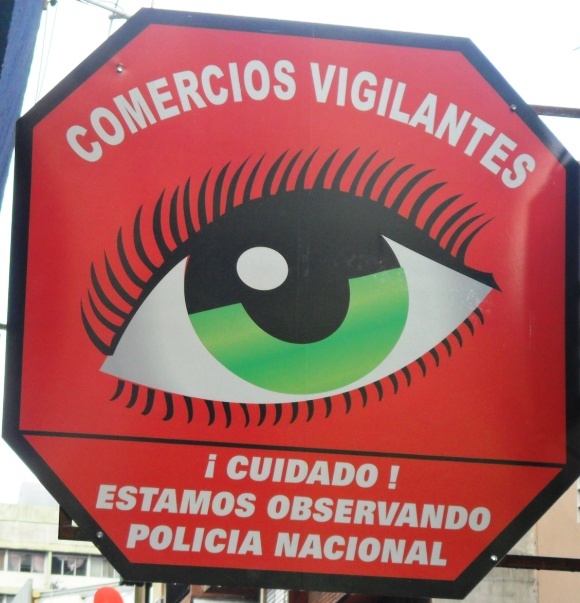 Translation: Be Careful We’re Watching You: I’ve seen these signs all over the place, rather Orwellian I must say. 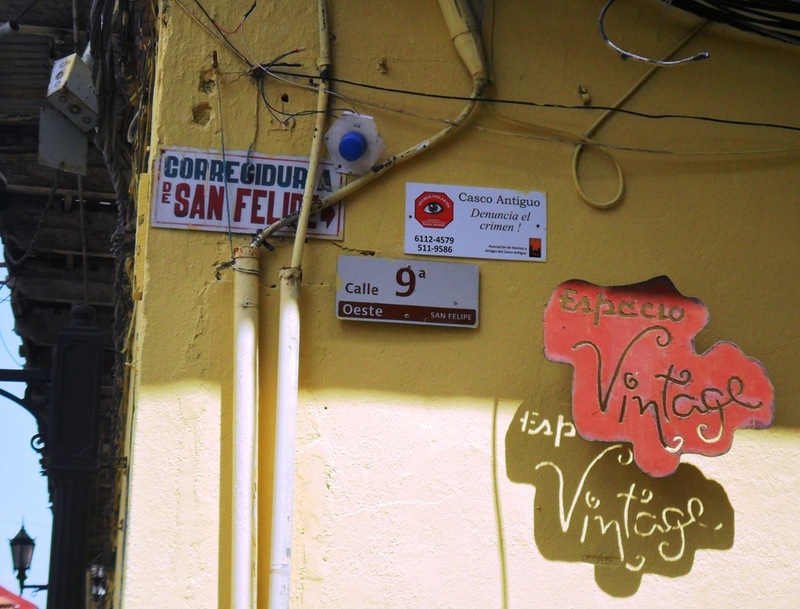 Vintage Space: This photo was taken in Casco Viejo on 9th Street a West. 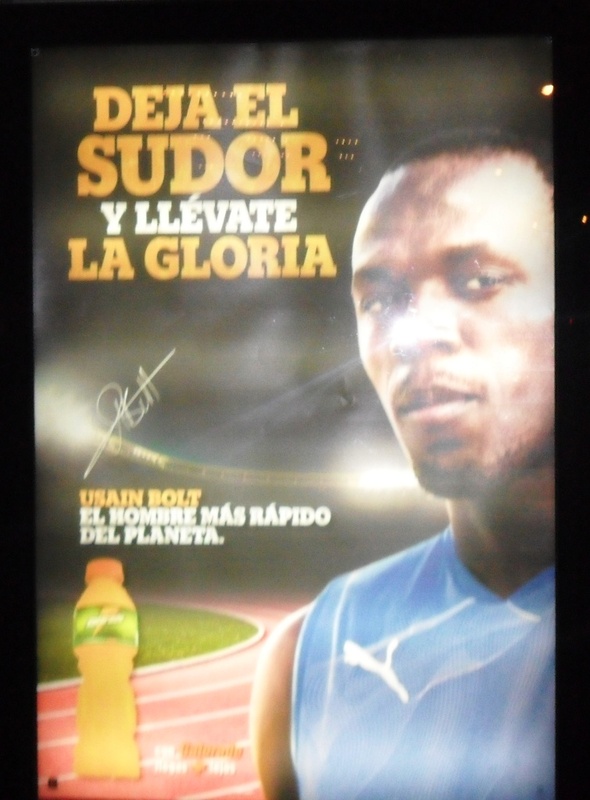 Translation: Let the sweat drip and take the glory. Usein Bolt the fastest man on the planet. There’s not much of a translation needed here. Balboa is a section or zone which lies in the heart of the city. I didn’t go into Los Pepes as I wasn’t in the mood at the time. I’m sure it would have been fun as the Panamanian people I’ve met have been nothing but nice. 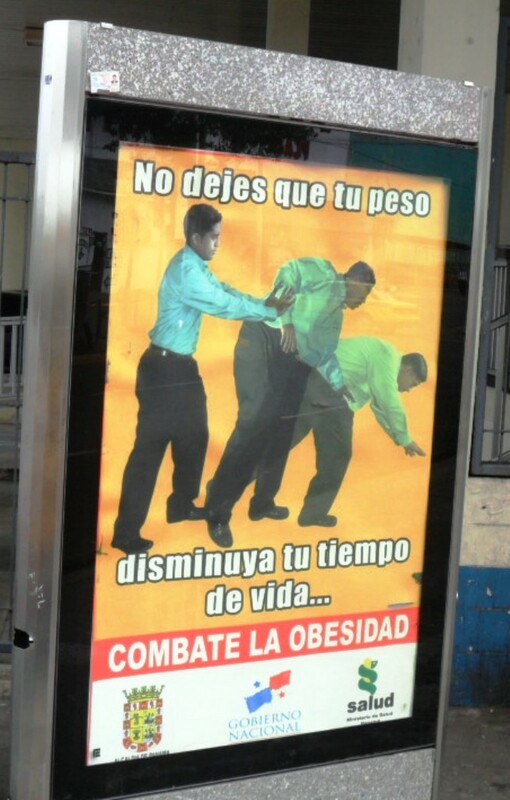 Translation: Don’t let your weight decrease your lifespan. Combat obesity. 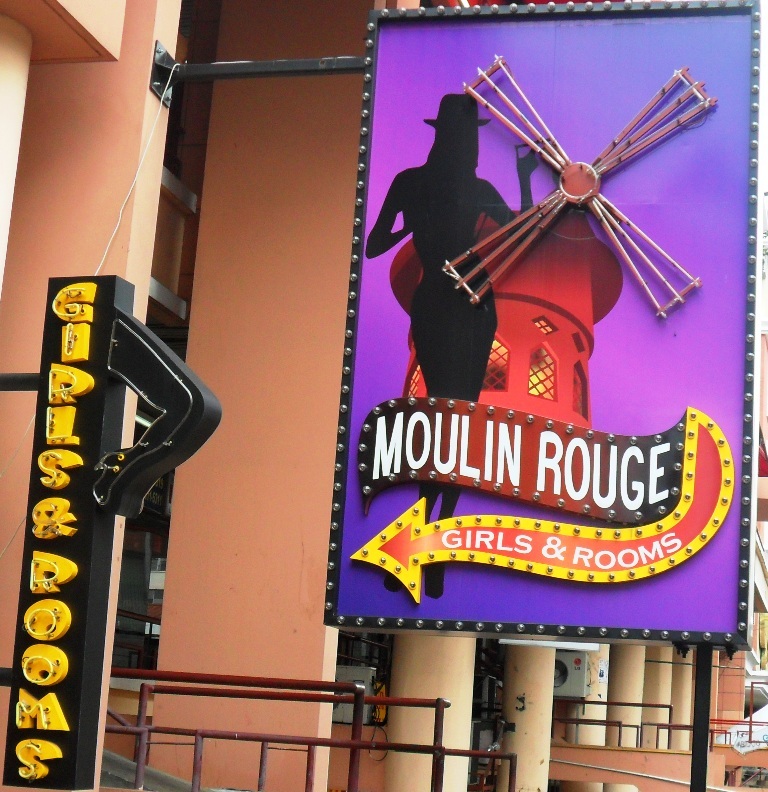 Apparently prostitution is legal in Panama City. Don’t quote me on that though. 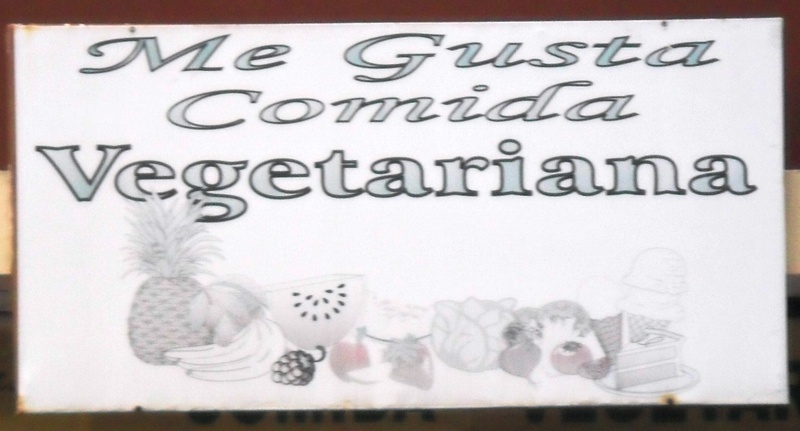 Translation: I like Vegetarian food. The restaurant itself wasn’t open. It reminded me of a Manu Chau song so I just had to snap the shot. 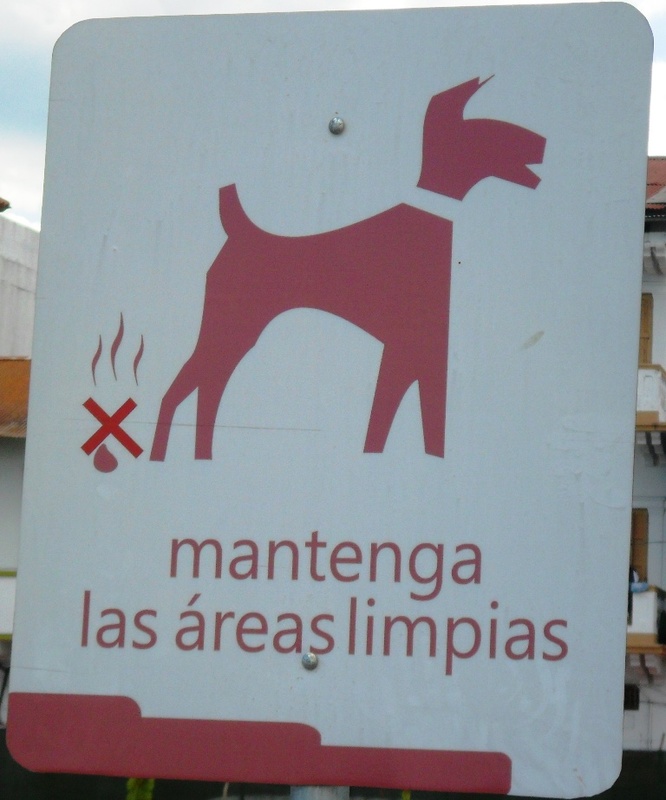 Translation: Keep the areas Clean: No real need for words here as the graphic sums it up. Tranlation: Welcome to the 100% Freshly Squeezed Juice Kiosk. 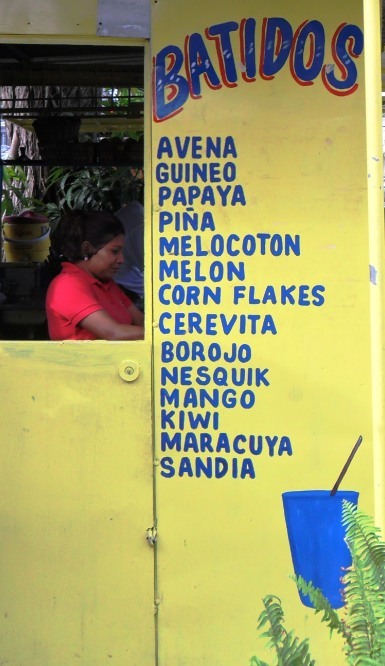 Consume Panamanian Products. 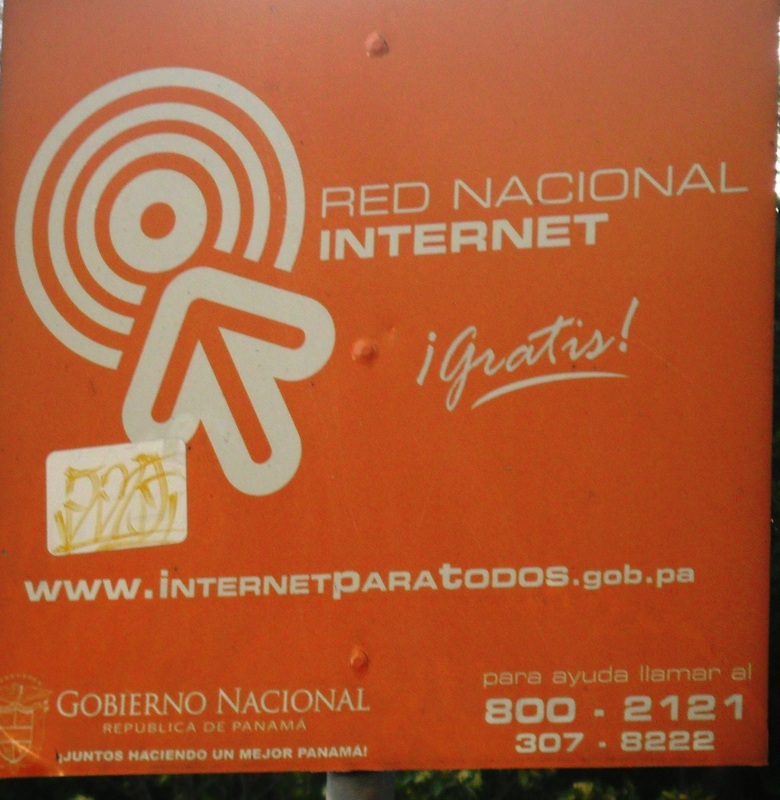 Translation: Free National Internet: InternetForEveryone.gob.pa Apparently there’s free internet in the parks. 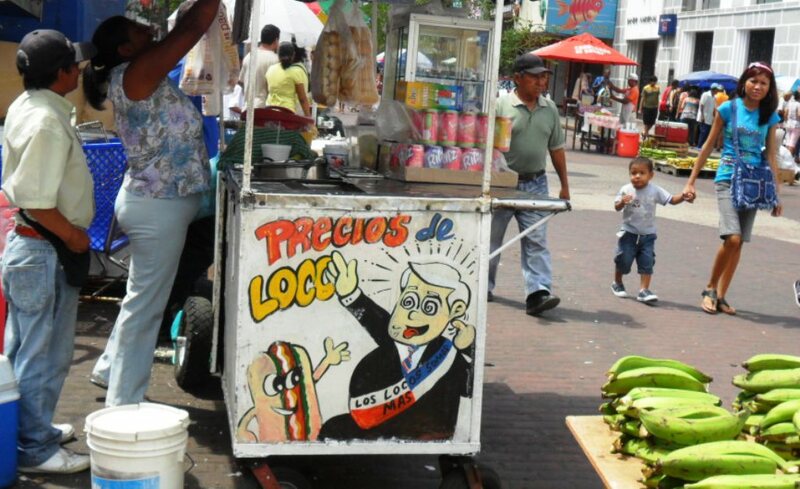 What a wonderfully progressive aspect of Panamanian culture. HUGE thumbs up to the Panamanian Government! 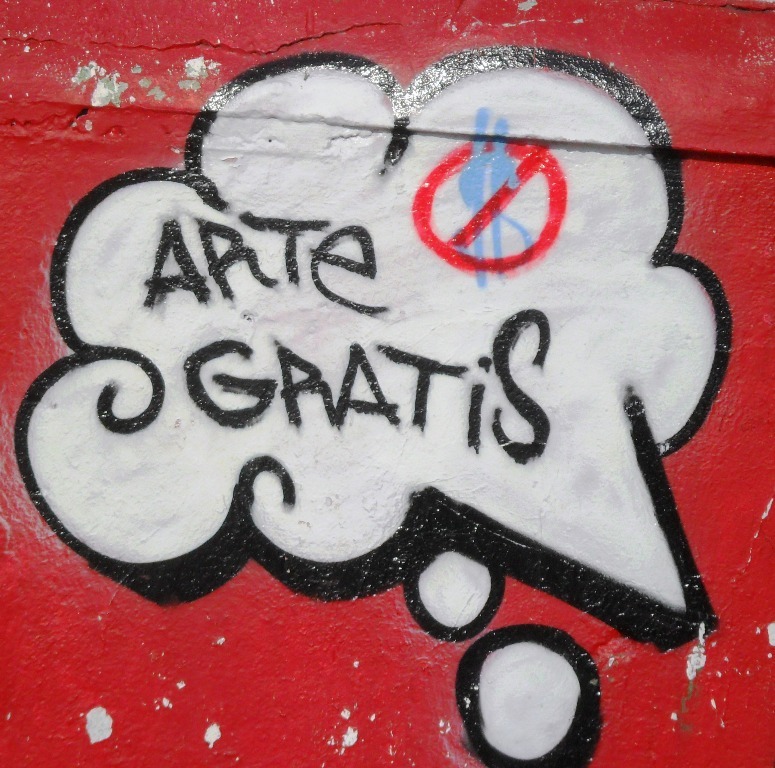 This piece of attractive graffiti comes from the fringes of Casco Viejo. No translation needed here. 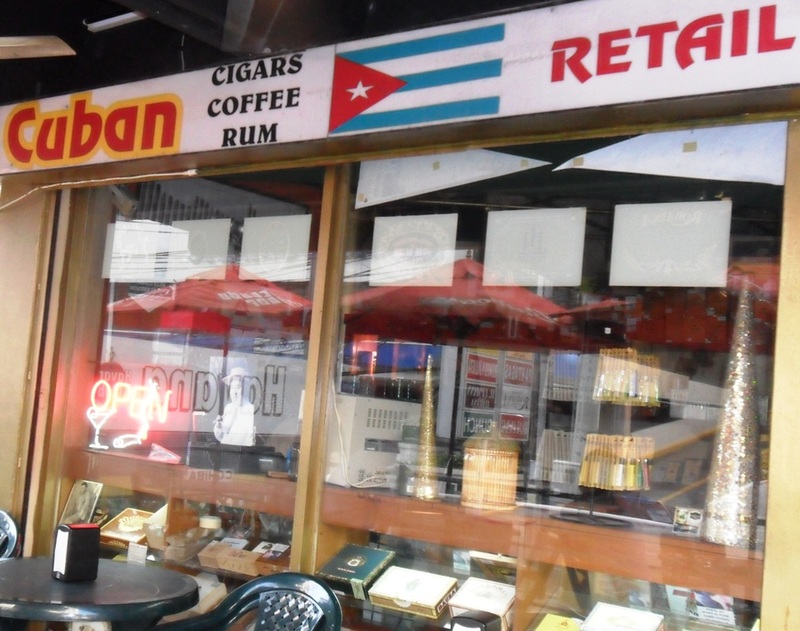 YES: this photo was taken in Panama City as I’ve never been to Cuba. 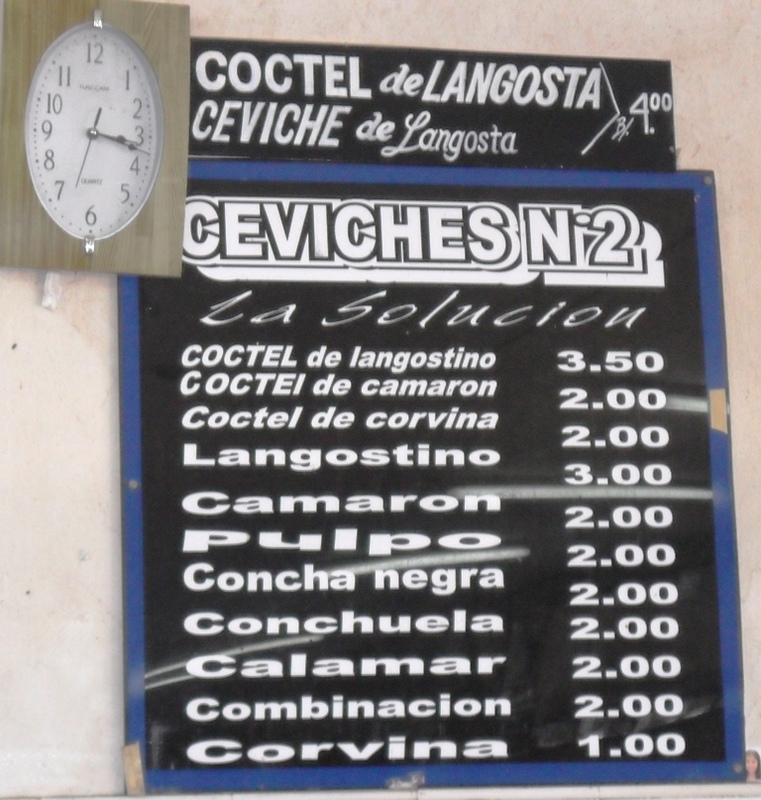 My post about Ceviche will tell you what it is. Here are your Seafood/Fish translations, this is very important on any Latin American or Spanish coastal region. Langostino: Lobster Camaron: Shrimp Corvina: A fish typically used in Ceviche Pulpo: Octopus Concha Negra: Clams Conchuela: a type of shellfish Calamar: Calamari or Squid Combinacion: Combination (my favorite). 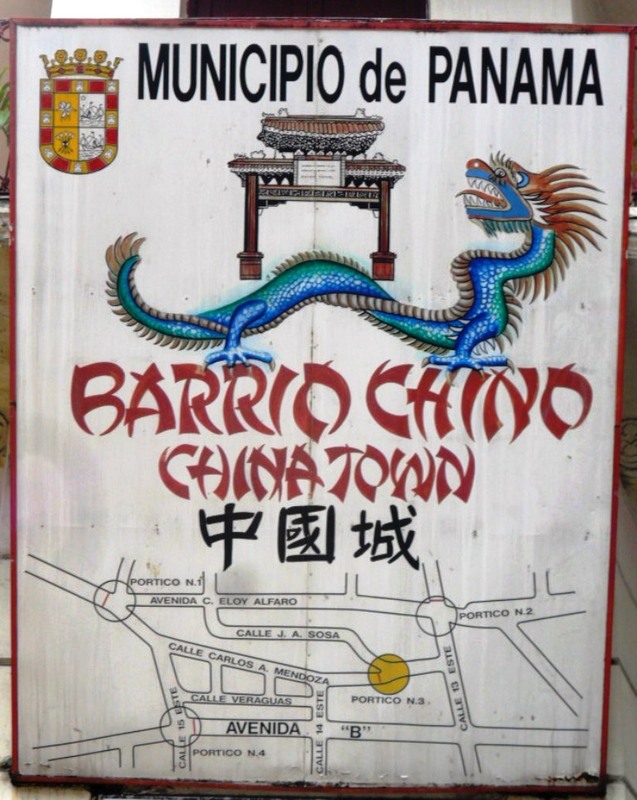 Panama City happens to have a very small Chinatown. There are Chinese Panamanian restaurants scattered throughout the city as they have a good sized Chinese population. I came mainly for the pool. For $8.80 a night with kitchen, free coffee and wifi, a comfortable atmosphere and genuine and friendly owners it’s a great place. The room I’m in is big, airy and comfy too. I’ll vouch for Mike, it’s as pleasant as any place I stayed at in Panama. If you get tired of Panama city come to David City Panama, stay at my hostel http://www.bambuhostel.com the best hostel in all of Panama.